Is DWF Better than PDF? If you ask anyone in the building services industry what they use to markup drawings, I can almost guarantee that no one will answer with Design Review. The large majority will say Bluebeam, a few will say Acrobat and then the luddites will say pen and paper. Unlike Bluebeam and Acrobat, Design Review doesn’t implement a printer on your system to generate the files it needs, it doesn’t review PDF files and you can’t use it as a dodgy photoshop as some seem to use it for. Design Review as the name implies is made to do one thing and one thing and it does that one thing rather well. Many had thought that Design Review had been abandoned by Autodesk, with no releases since 2013. Then Design Review 2018 happened. Check out the process either here on REVIT.AU or watch a demo just below on Youtube. We’re also using Revit 2019 in this example, if you’re using a previous version of Revit you need to click on the Application Menu (the big R) rather than the file menu. There are additional options that can be set and applied to the DWF export it’s always great to have a bit of extra metadata within your files, but only fill out if required. There is no point in providing information just because the technology allows you to. On opening the file you’re presented with a series of thumbnails on the left hand side of the screen which represent each of the drawing sheets and views exported from the model. There are also additional tabs that allow you to review sheets and views in a list mode, list your markups and also and exported model views. Navigating between sheets is as simple as a single click on the sheet in the list. This isn’t Internet Explorer, no double clicking here baby-boomers! Those extra mouse clicks are just precious time that’s wasted! The right-hand side of the screen provides you with handy tabulated information regarding the open sheet or view. These tabs can be pinned or set to auto-hide depending on your preference. Design Review includes all the makrup and measurement tools that you need to get the job done. 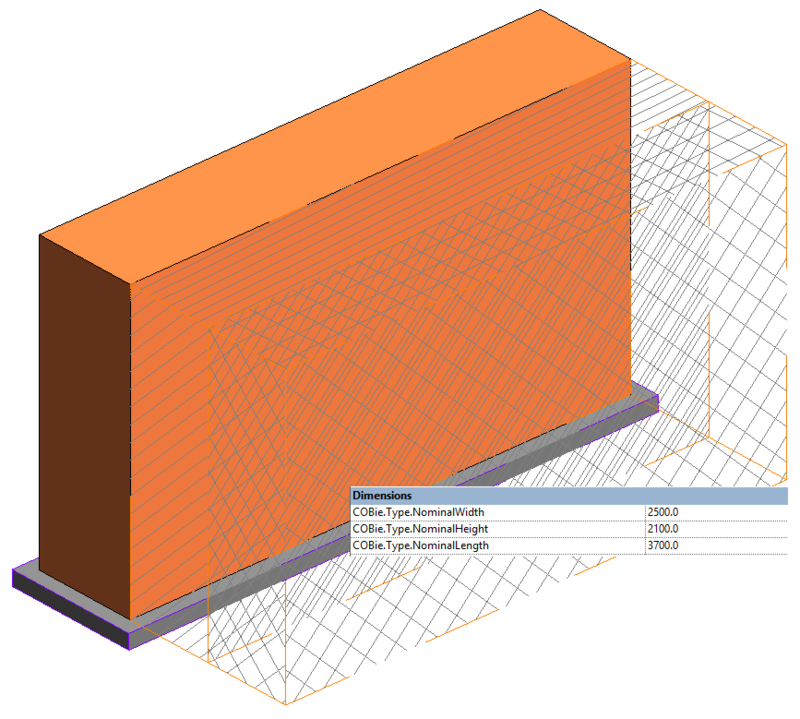 In addition to the usual suite of 2D markup and measurement tools, there are a series of handy tools that can be used in 3D views so you can take sections through the model assist in the markup process. To further assist with the markup and review process, there is a sheet compare functionality which allows you to compare drawings between two DWF files. But what about symbols? Most engineers I’ve spoken to say that they can’t give up Bluebeam because “it has symbols”. Acrobat also has symbols. Just saying. Design Review doesn’t rely on the set of American symbols you found on the internet, or that Bob stole from his previous company for Bluebeam. Design Review is able to import 2D symbols directly from a DWF file. What this means is that your specific company standard of block or family libraries can be exported from AutoCAD or Revit and imported directly into Design Review. Remember the markup tab from earlier? As you generate markups, they are listed out within the markup tab and sorted by drawing sheet. Each markup has additional information attached, reflecting any notes on the markup and the markup history. Wait. What? The markup history? That’s right, Design Review offers a full round trip functionality. Have you ever noticed that DWF Markup button in Revit and wondered what it is all about? It’s only been there for almost forever. It’s all about Design Review. For the longest time, we have had the ability to link in DWF markups directly to Revit and it’s a good sign that Autodesk won’t abandon Design Review. When linking in a DWF markup file, Revit will display the sheets that include markups. Any sheets without markups will not be loaded. When the markups come in, they overlay on each sheet. All the information from the DWF markup flows through into Revit, making it easier for markups to be actioned quicker and hopefully more accurately. Markups can be completed in most instances by activating the current Revit view and making changes on the spot. As work is progressed, modellers can change the status of the markup which will highlight it as complete. There is also opportunity for the modeller to add their own notes to the markup for when it is returned to the engineer. Once all the markups have been completed, the drawings can be exported as DWF again for the engineer to review. A fair chunk of what I do these days in the office is around testing software prior to packaging and deployment. If you have ever had to install and uninstall Autodesk software for testing purposes, or you just wanted to get rid of an old version of the software you’d know that it’s not as simple as it probably should be. Rather than just uninstall Revit, you need to uninstall Revit and a whole host of other applications. To get the job done in Windows 10, first we want to get a list of all the installed applications on the machine, I just want the name of each package so we need to type the following at the PowerShell prompt. Of course make sure that you’re running PowerShell as an administrator. From here we need to wrap the names of our software into this handy little script. # Remove applications if installed. $app = Get-WmiObject -Class Win32_Product ` -filter "Name = '$program'"
# Remove Revit 2019 applications if installed. If you are specifically dealing with Revit software, you can take your uninstall a step further and clean out the associated files along with it. To do this, just add the following to the end of your script. # Remove Revit 2019 user data. Write-Host "Cleaning Revit 2019 User Data"
Write-Host "Backing up old user profile"
Move-Item -Path "C:\Users\$env:UserName\AppData\Roaming\Autodesk\Revit\Autodesk Revit 2019" -Destination "C:\Users\$env:UserName\AppData\Roaming\Autodesk\Revit\Autodesk Revit 2019_OLD"
Write-Host "Deleting user profile temp files"
Write-Host "Deleting user profile Revit cache files"
Write-Host "Deleting local machine Revit cache files"
Write-Host "Deleting Revit journal files"
Just make sure that if you remove the user data as part of your script that you need to run it from that user’s profile, not from your administrator profile. Are you new to Revit and starting to create customised content for your models? You have all the pipework and fittings and now you’re onto the annotation tags. You’ve come to a tag that you need a few different variations, a few instance based yes/no parameters are what you need right? For starters, using instance based parameters to control the visibility of tags is just going to be a pain to manage in your project. Just imagine each time you need to click various options on and off. No thanks. It’s not a problem you will encounter anyway, as instance parameters aren’t presented to you in the way that you’re expecting them to be. They’re not displayed in the properties dialogue like they are in other families. Lucky for whoever was expected to click hundreds of yes/no checkboxes in your model. 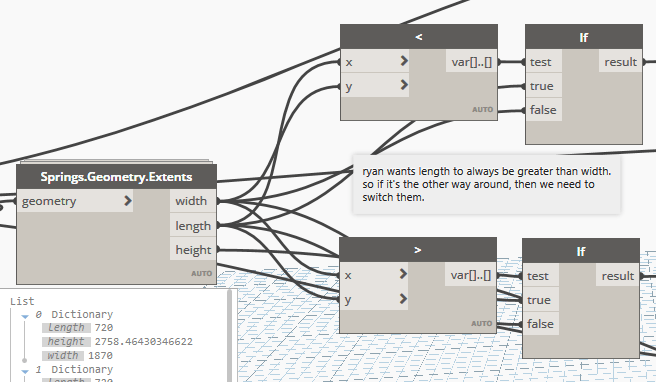 This particular example, the user wanted to set a variation of their family using a family type drop down set as an instance parameter, but there is of course no way to access this once you place the tag into Revit. The correct way to approach (shown in the image) this is to have parameters set to types in your family and define family types (steps 1 & 2). Make sure that you set all the relevant parameters for each type, then once in Revit, select the tag type that you want to apply (step 3). I have a project on which HVAC is using AutoCAD MEP for their ductwork (they don’t know Revit…yet). They’re designing in 3D based off my Revit-to-dwg exports. But the only way I can import their 3D ductwork from AutoCAD MEP into Revit, AND have it respect my cut planes in my sheet views, is to bring it into a Revit Generic Family first. Any ideas on how to improve this workflow (aside from making HVAC work in Revit)? Maybe some sort of Dynamo script to help automate this process? This is a workflow that I’ve only had to follow a few times when working with a bridge team that was still working in AutoCAD. I guess I’ve had the luxury entire project teams working in either Revit or ArchiCAD and working with this files is a straight forward process. There is a Dynamo solution that works well, but my first iteration of this doesn’t automatically batch process all the files, but rather it’s run on an as-needed basis. This isn’t such a bad thing though as every DWG file usually isn’t issued all at the same time. First we start off with reading our Excel file, it provides the validation between our RFA names and the required DWG to be inserted to that RFA. I have a dummy list of files, but it shows how the concept works. Our Excel file has headers included, so we split our our headers with a List.Deconstruct node and we transpose that list so we split out to a list of RFA files and a list of DWG files. Then using a List.GetItemAtIndex node we take the name of the RFA file from the list to validate that against our open document. Next, we take the name of our open document. Sometimes this node won’t refresh to pick up the current document name, if this is the case, just close and re-open the graph. The nodes are reporting back not just the file name, but the location that it is saved. To be able to break the string down into it’s separate pieces, we use a String.Split node and split by the string “\\”, once we’ve split the string the split elements will be provided in a list. We simply want to take the last list item as that will be our file name. From there, we can take the list of DWG files from our Excel sheet and using the value produced from our List.IndexOf node we can pull the corresponding DWG name from our Excel list. We then need to put together a path string. You could hard code this into the code block or you can use the Directory Path node to feed into the code block. Next is the bulk of the work, with the help of the GeniusLoci package we need to enumerate the DWG import settings available to us. We then take those lists of settings and using a List.GetItemAtIndex node we select our import settings to then feed into our Python script. The Python script is a modification of the existing Import DWG node from the GeniusLoci package, we just need to change a single word within the script as although the existing node is called Import DWG it actually links the DWG files. Rather than modify the GeniusLoci node itself, I have created a new Python script node and put the modified code within that node. And that is it. Once all the required data is fed into the Python script, the DWG is placed on the view and our job is done. We’ve been trying to issue federated IFC files, but the combined size balloons up to 20x the original size. Is getting these models to a consumable size a wild goose chase? Well, the short answer is no, it’s not a wild goose chase and it is possible to generate federated IFC files that are almost exactly the same file size as the sum of the smaller files. Download 1.4.0-FINAL-2015-11-04.jar, save it somewhere on your local machine. Don’t use spaces in the folder names when you save it or the tool won’t work properly, use underscores if you need a space. For all the work that you are going to do from here on, you need to use Chrome or similar. Internet Explorer will not work. Also note that if you log yourself out, you will need to log back in with your email address as the username, not your name. Fill out this page with your details, you’re creating a user here. You will be able to login with these details again in the future. Because this is a web application, we could actually host this internally and have a permanent server setup, it’s just this workflow is using it as a web application hosted on your local machine. To then upload a model to each sub-project, you need to use the “Checkin” option. It will take a little while to import the files depending on how complex they are. For the merge, you literally just have to click the little arrow to the right of the top level project, and select download. Depending on how big your models are, the problem might be if you have enough memory to perform the merge. If the download doesn’t work, hit the back button or refresh the main page before you try and download. 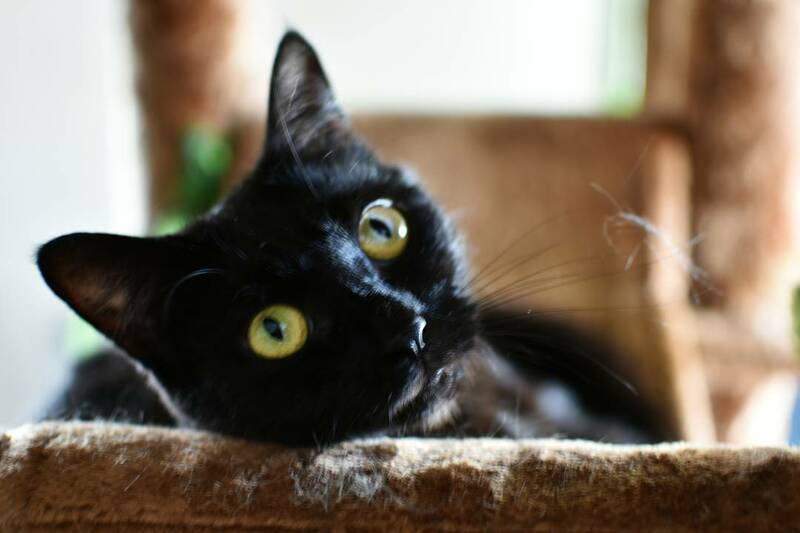 You need to see an eye on the top level project for the download to work. You can verify your IFC file either by loading it into a new project within the BIM Server web application, or you can load it into Navisworks. My resulting IFC file is 173mb which is exactly the sum of my four individual files. After running the optimiser, the file size was reduced to 124mb. There are times when we need to show a little more information than Revit is able to provide out of the box. Take for example internal pipe inverts and obverts. When tagging pipework, you can tag the quadrants of the pipe and the centre node. These parameters will need to be Shared Parameters so that you can tag them later. In my example I have set the parameters up as number parameters, they are associated with the pipe category and they are instance parameters. 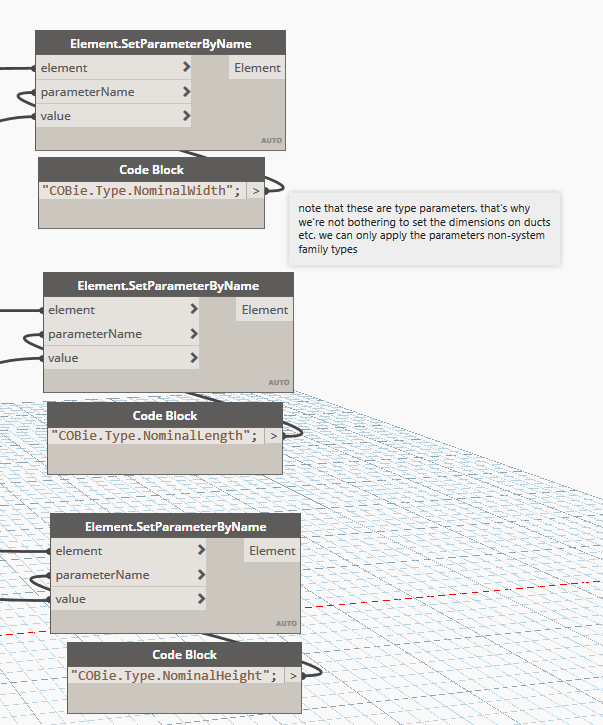 Once you have the parameters setup, start up Dynamo. 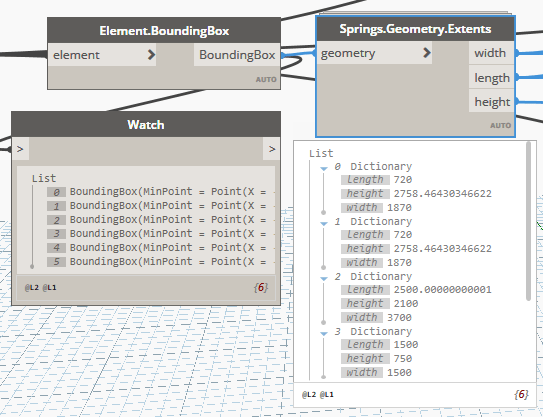 For reference I’m using 1.3.3, but you could also use Dynamo 2.x. The first step is collecting the information required to generate the correct inverts an obverts. For this we need the start and end offsets as well as the internal diameter. The next step is to calculate the inverts and obverts. This is as simple as taking half of the internal diameter and then adding to the starting and end offsets for the obverts and then subtract the values from the start and end offsets for the inverts. Finally we need to push these calculated values back to the piping. There is a small check required to ensure we input the correct data to the correct parameter, the reason being that the start and end offsets don’t relate to the upstream or downstream end of the pipe, but rather the start and end of the direction the pipe was drawn from. The check is a simple if node, which checks which value is greater and places the larger of the values in the upObvert and the downObvert parameters. The final step in the process is to create a pipe tag with labels for each of the relevant parameters and viola!